Yelena and Chris’ Virginia wedding ceremony at Chris’ family home, as captured by Rob Garland Photographers, continued with a beautiful tented reception. It was important to them to make sure everyone had a good time, so they provided art supplies so the kids could participate in signing the (now very colorful!) guestbook too. Chris, an artist in his own element, was responsible for the photos used in their seating chart and Asian flair, in honor of Yelena’s Chinese heritage, was infused into the dinner dishes. I’d say it’s fair to say that a good time was definitely had by all! From Yelena: My favorite part of the day was looking around and getting to see all our favorite people (friends, family) interact with each other and enjoy eachother’s company. Chris has spent a great deal of time in the past with photography so we used his photos for the wedding program and seating chart, both of which his aunt helped us design. We also had a table that had photos of us from when we were kids, that included the guest book and art supplies for kids to use to decorate pages to add to our guest book (or just to doodle and have fun!). It turns out a lot of adults also created some art that afternoon! Food was a major priority. We are both foodies and really wanted our guests to enjoy some delicious food. Because of my Chinese ancestry, I asked the caterer to incorporate this in, so she included some dishes that had an Asian flair. When choosing vendors, it helped me to choose to work with people that I had a good feel about when I met them – for me, that was people who clearly were experienced, listened well, answered my questions directly, and who exuded organization. This was particularly important for me because my husband and I were not living in the DC area while planning the wedding. 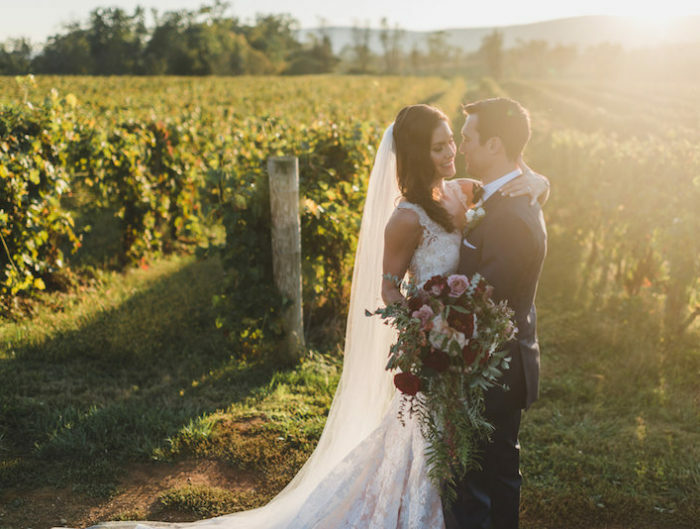 When faced with making the many choices that are inevitably part of wedding planning (and deciding what to spend money on, and how much), remember to think about what the really most important parts of the day will be for you. For me, that was celebrating with friends and family and making sure they were fed. This helped me reprioritize and not care so much about smaller details that in the end wouldn’t matter for those primary goals. It also made the wedding day not stressful at all because I knew those goals would be achieved! 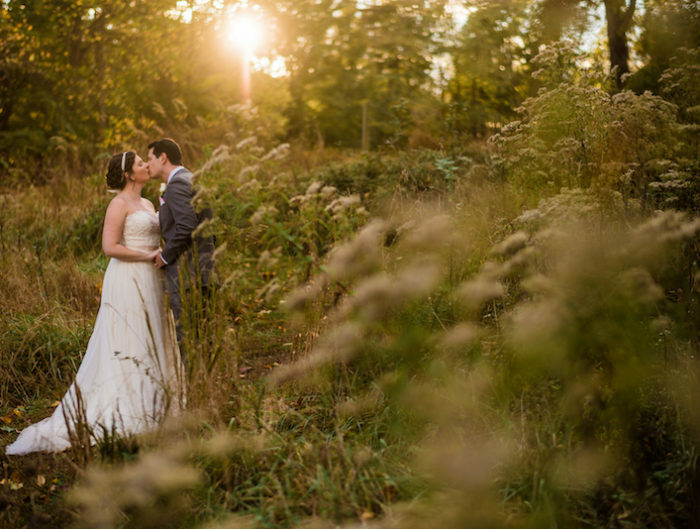 We loved working with Rob on this lovely, intimate wedding. Thanks for the opportunity to be featured! 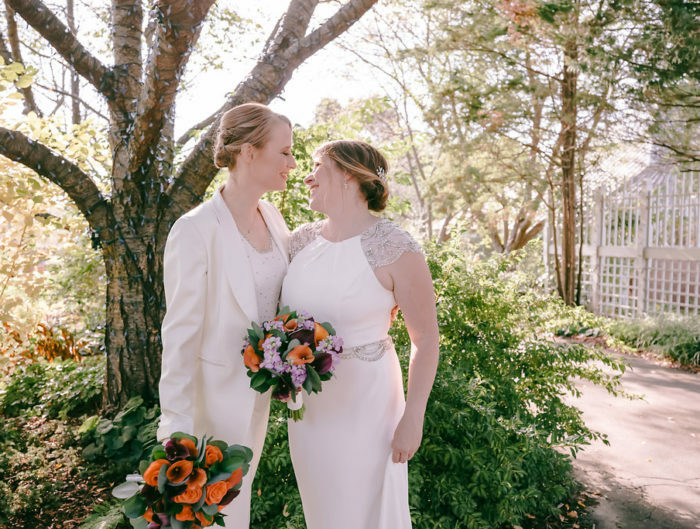 United With Love: Outdoor Fall Reception Feature!